The city of Houston mourns the loss of Robert “Bassman” Washington who passed at 48. Robert worked as an on-air personality for Houston’s Majic 102.1 and 97.9 the Box. He was also known as “Praiseman” after a stint on Gospel station Praise 92.1. Robert was called home to be with the Lord early Sunday morning after a aneurysm burst in his brain. The funeral is set for 12 noon Saturday, December 23rd at Fort Bend Baptist Church. Washington was an avid church-goer and led many activities at his beloved Fort Bend Baptist Church. 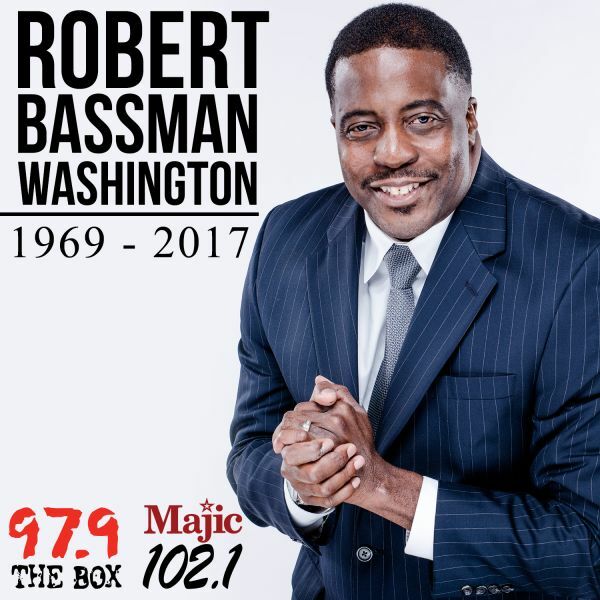 Radio-One The Majic 102.1 and 97.9 the Box family would like to share that our brother, friend, co-worker and our joy Robert Bassman Washington has made his final transition. Bassman started with our family August 8th, 1994 on 97.9 the Box, he also brought us inspiration as Praiseman on Praise 92.1 and in recent years, he’s been your voice for Houston as part of the Tom Joyner Morning Show on Majic 102.1. Bassman was also the life of the on-air party in many shifts all over our stations. Robert knew how to whet our appetite for a great meal with Robert’s Recipes. He encouraged us all to get in shape with Workout Wednesday and Robert was ALWAYS the life of the Party. He was a man who never met a stranger and always had an encouraging word and a smile. He was light… he was laughter and he was love. We share our condolences to his wife Keisha and his many family and friends. This entry was posted in Blogs, World News and tagged death, dies, Fort Bend Baptist Church, funeral, Praiseman, Robert Bassman Washington by Kris Patrick. Bookmark the permalink.